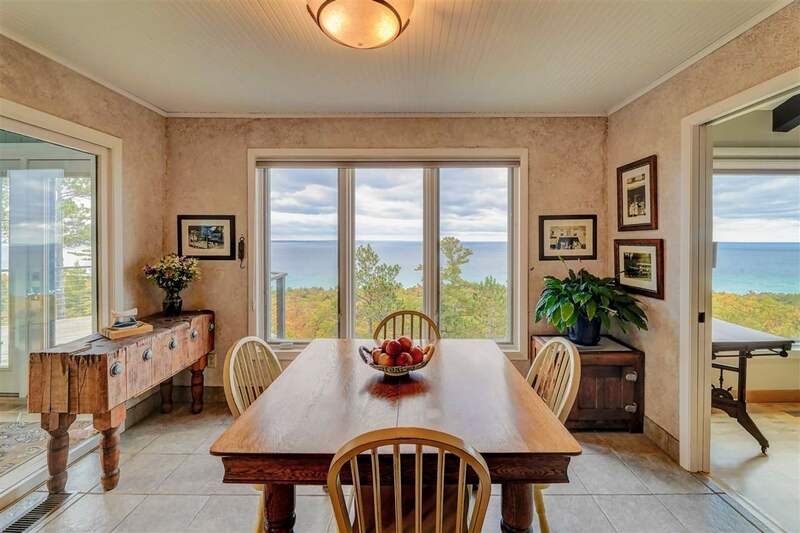 Unbelievable panoramic lake views from this grand home ~ from nearly every room even in the lower level enjoy greater than 180 degree views!! 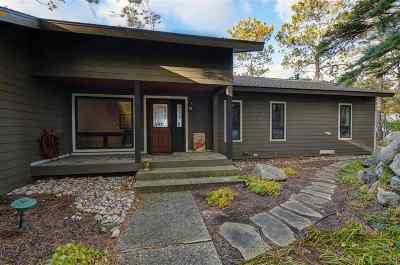 This delightful, remodeled 4BR/3.5BA home has new Hardi~Plank siding, new Pella windows, newer roof, new wood floors and new gourmet kitchen. 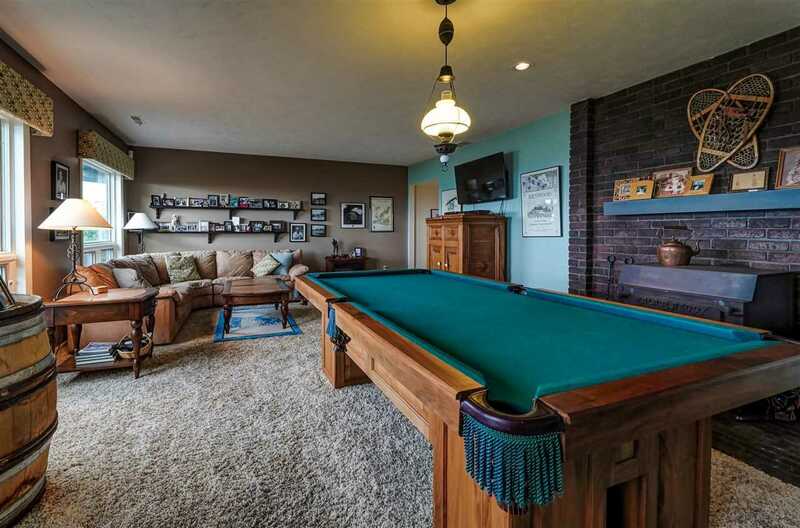 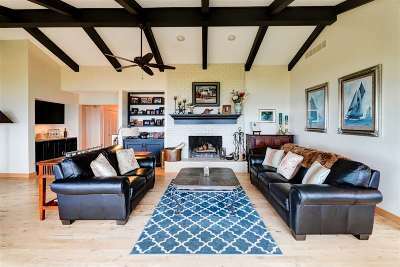 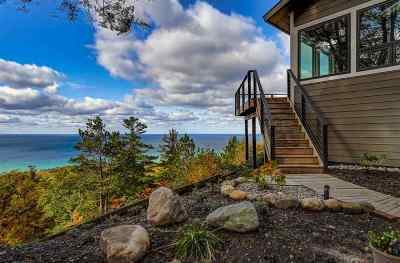 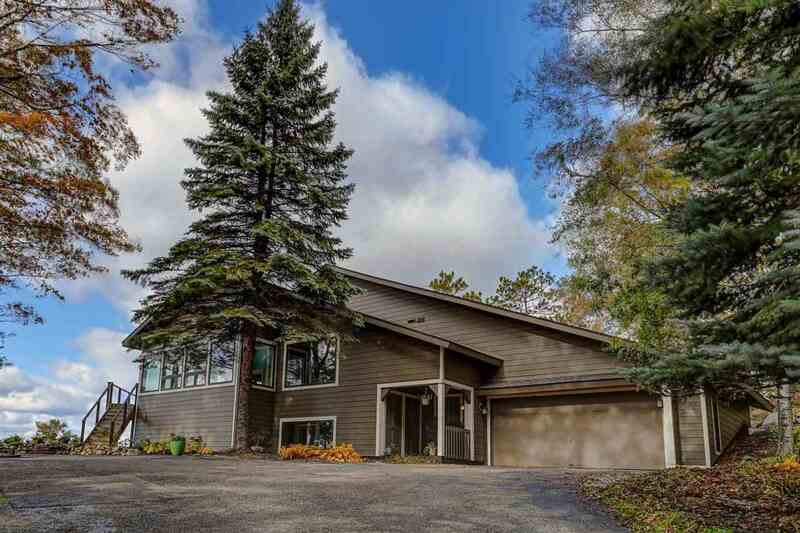 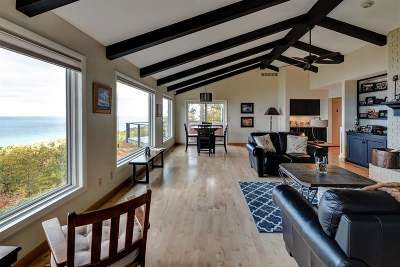 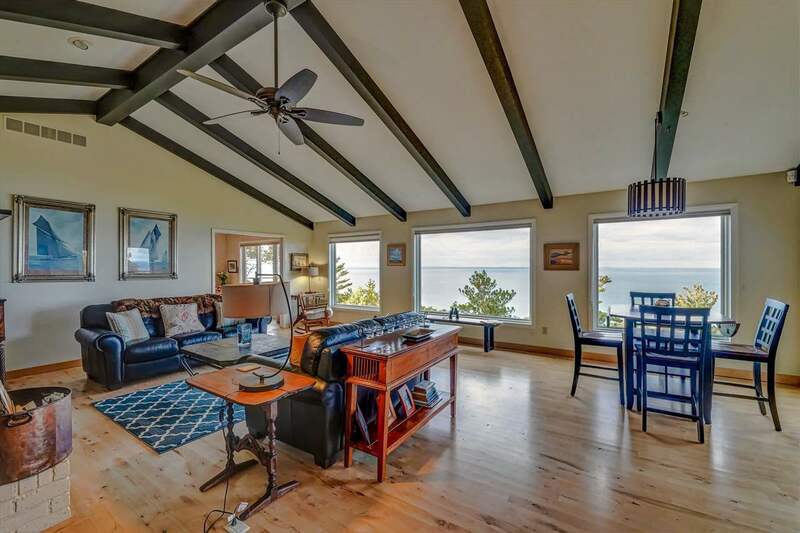 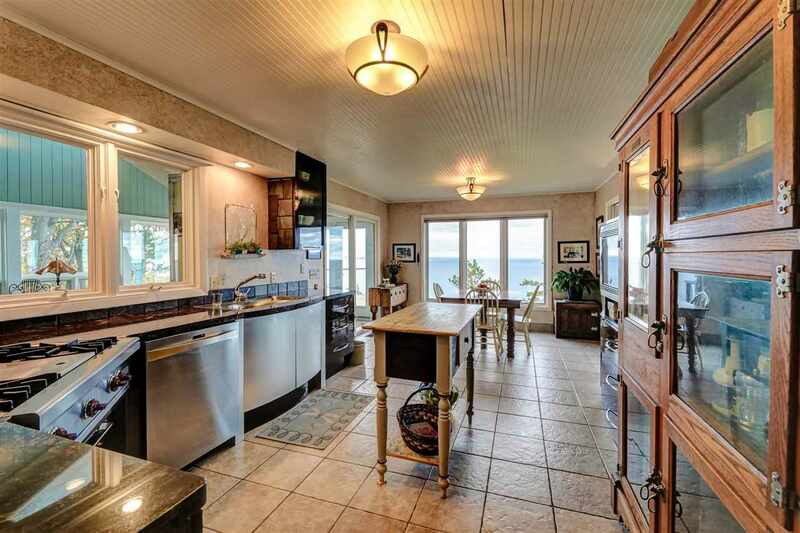 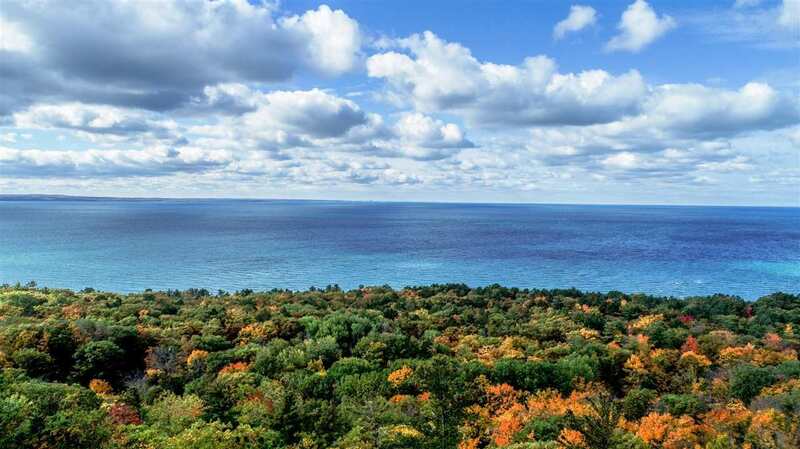 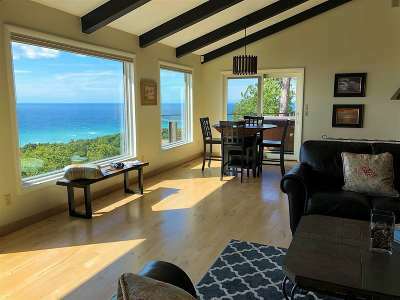 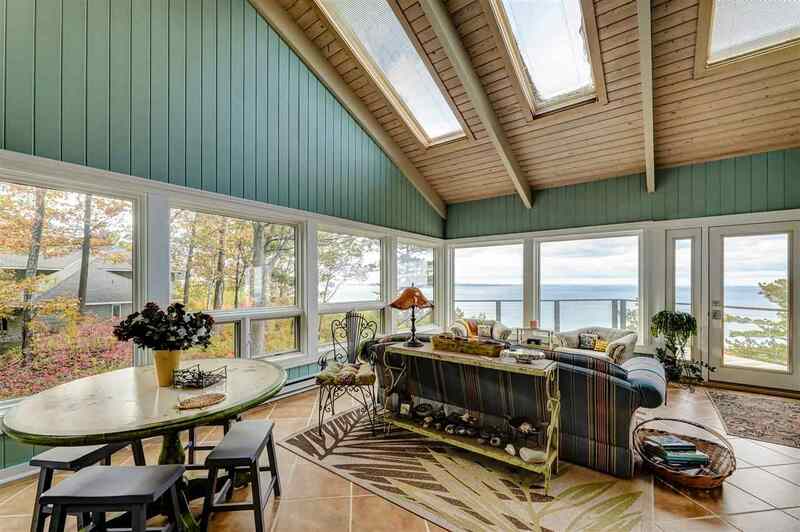 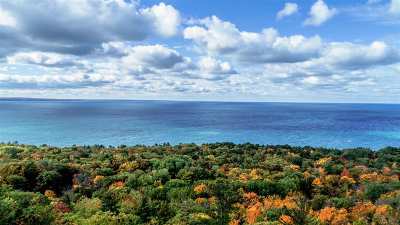 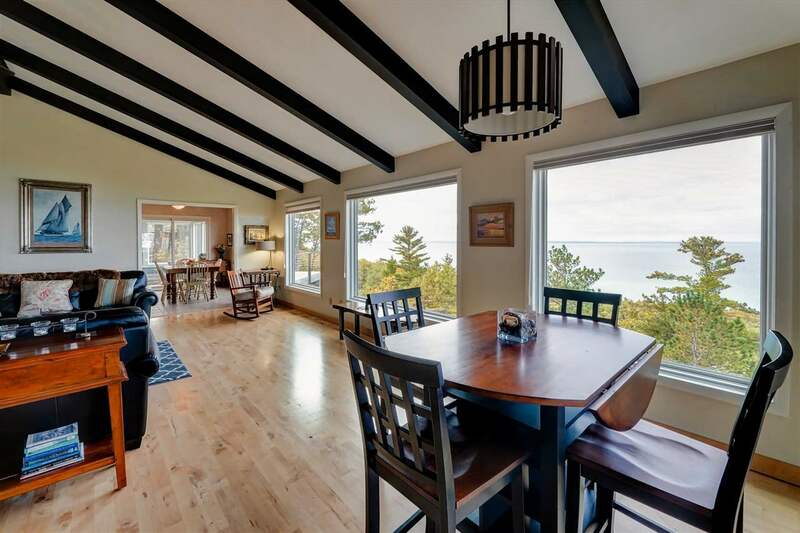 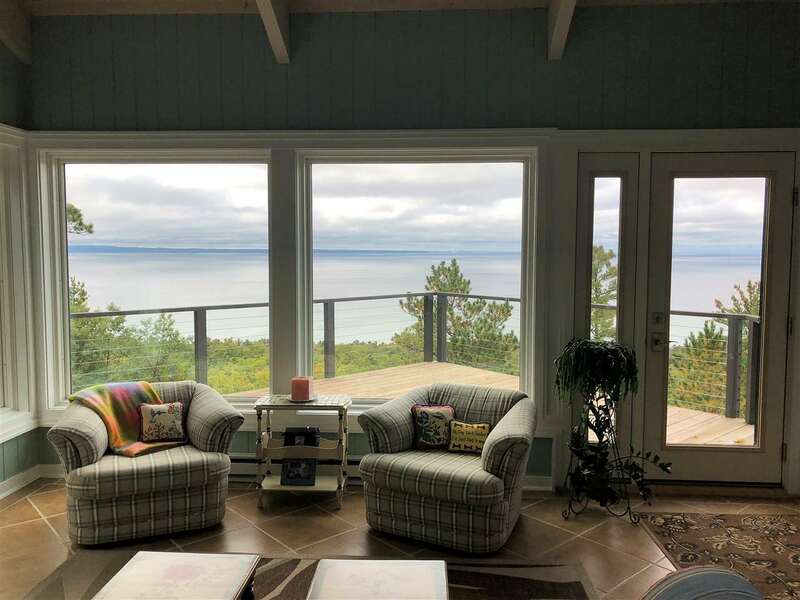 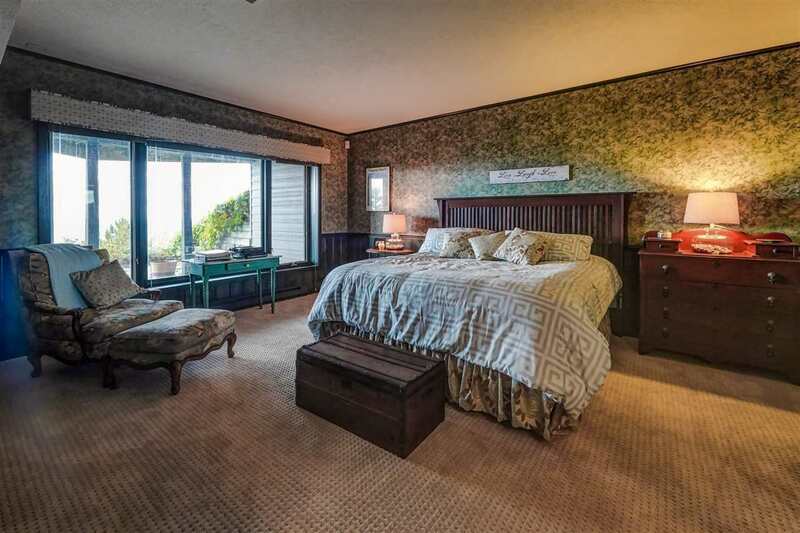 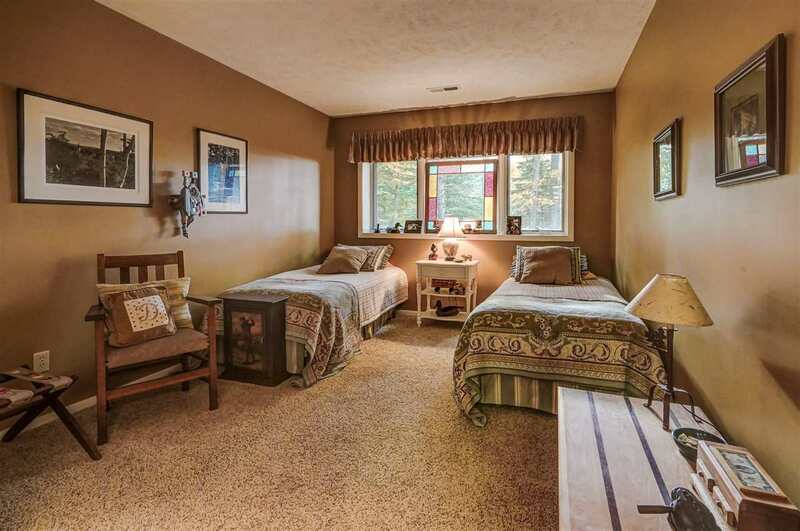 Situated just outside of Harbor Springs, in the private neighborhood of Seven Mile Point Ridge, this property also has shared lake access below the bluff with a gorgeous sand beach. 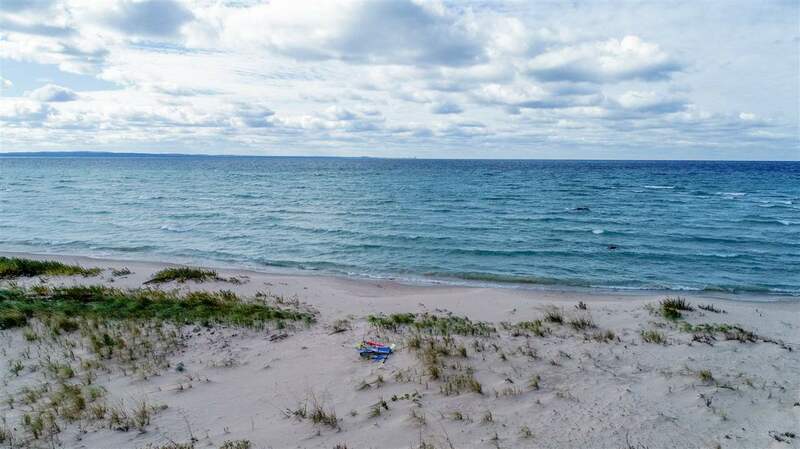 Store your kayaks and water toys here to enjoy beautiful days. 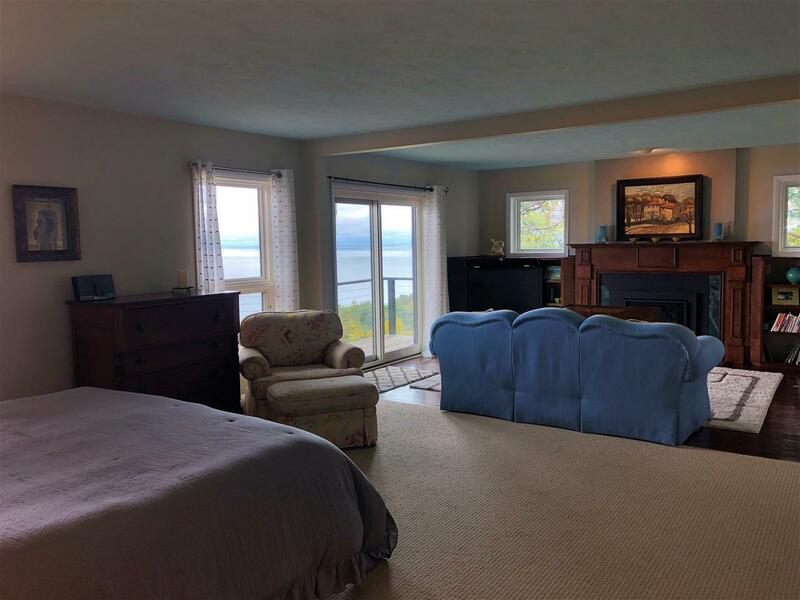 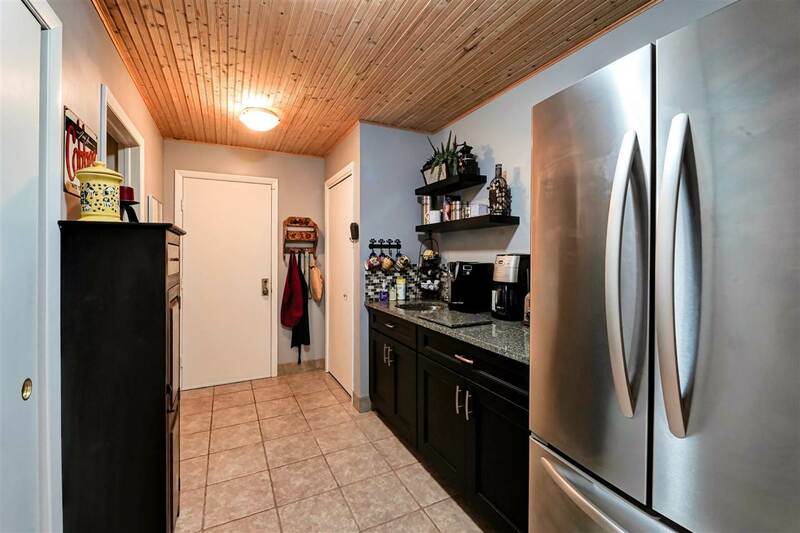 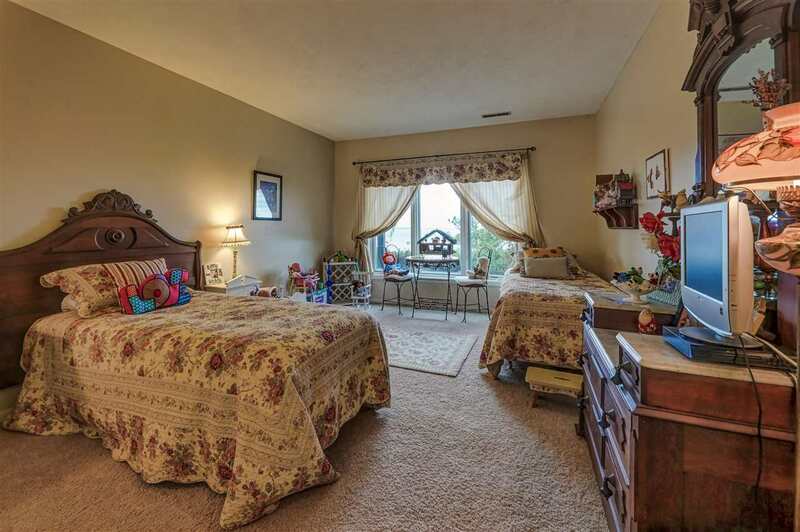 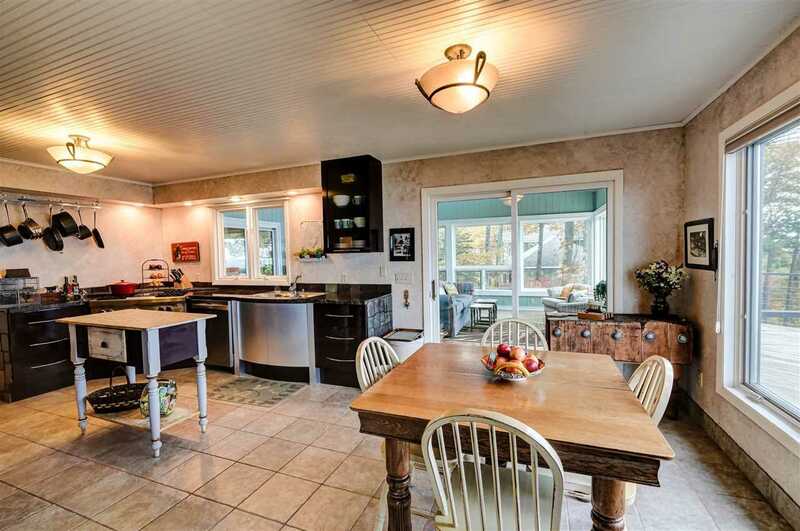 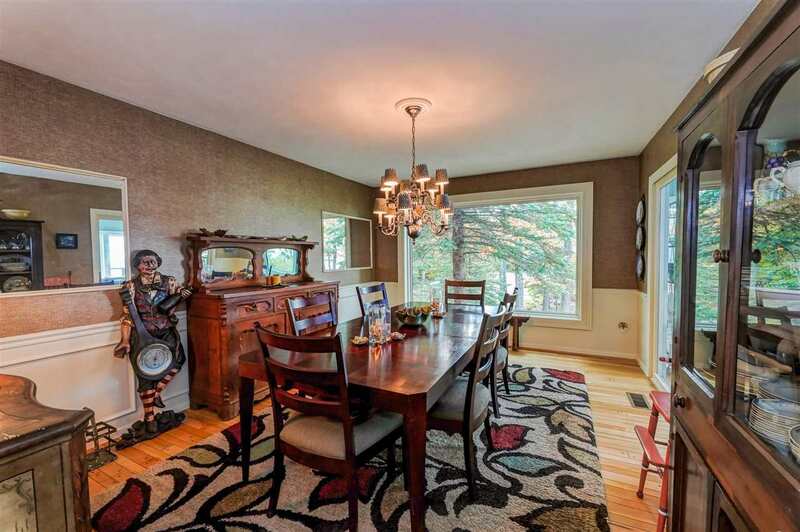 There is plenty of room to spread out ~ enjoy the cozy wood fireplace in the living room, formal dining room, large kitchen with eating area and very spacious master bedroom with gas fireplace ~ all with delightful lake views. 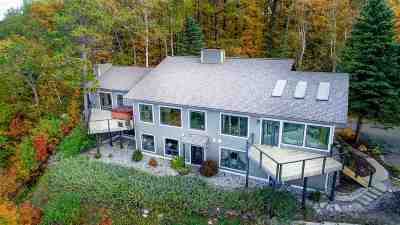 A large heated sun porch provides easy access to the deck and fire pit area. 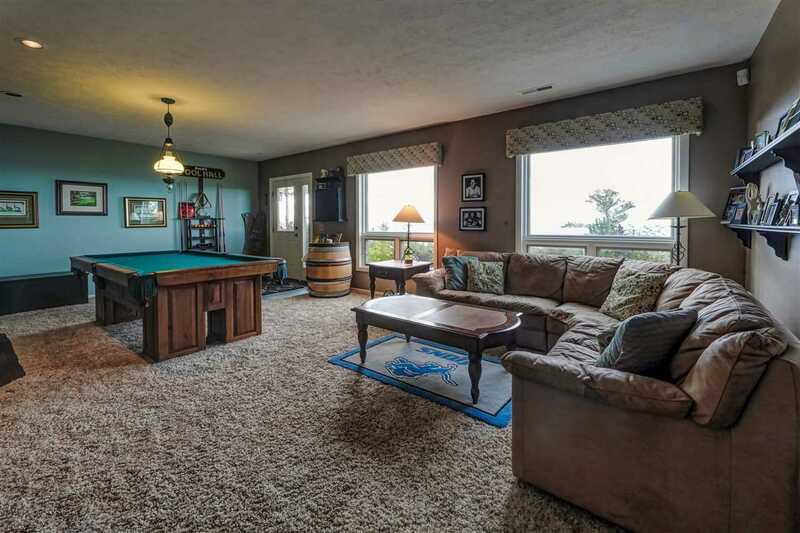 Enjoy gazing at the stars twinkling on the waves from the hot tub on the deck. The lower level is perfect for guests with a second master bedroom with en suite bath and two other bedrooms as well as a large family room with wood stove to boost the temperature on those chilly winter nights or cool summer evenings. 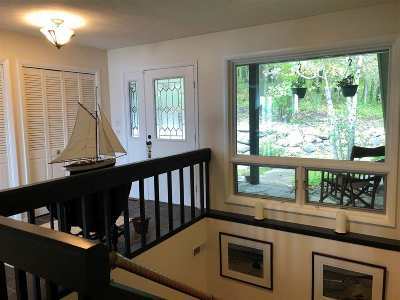 There is even a separate entrance to the lower level, should guests like to come and go without disturbing you..